1 Bed/1 Bath Boathouse 8 miles from Springfield Bridge! Across from Prop Stop! Come and stay at the RIVER STOP INN, just across from the extremely popular Prop Stop, on the Tickfaw River in Springfield, LA! 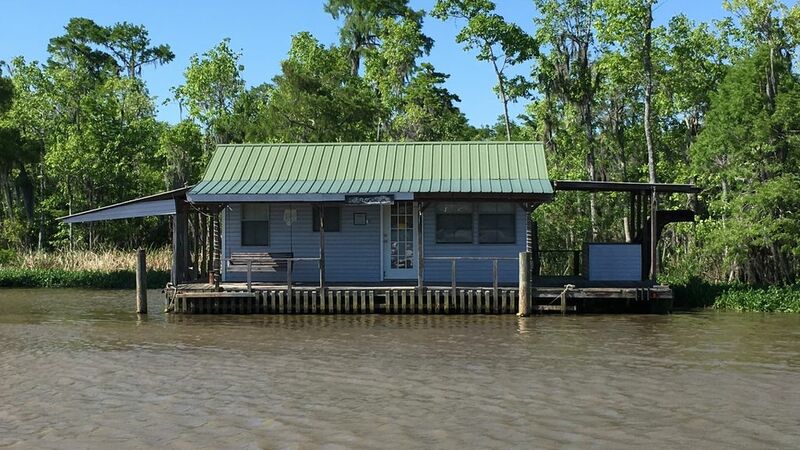 This 1 Bedroom, 1 Bath Boathouse with 1 Queen Bed, 1 Single Bed and a Sleeper Sofa, (Can Sleep 5) is just the place to get away from it all and enjoy the beautiful views of Southern Louisiana. Rough it in style with a kitchen supplied with a stove, oven and microwave, (No Refrigerator, bring your ice chest) along with all of the necessary equipment such as pots & pans, dishes, etc. We provide the linens for the beds and towels for the bathroom as well. With generator power, you are away from everything. Just you, your friends, your boat and the fish and... the great memories you will make! You are only 5 minutes from Lake Maurepas as well! Grab a burger at the Prop Stop for Lunch, spend the day on the Lake and come back to the Boathouse and watch the sunset! The owners of this property are "good ole boys" from Louisiana and Mississippi and know what it takes to have a good time on the river! When they see an opportunity to get into something, they jump! Being the self-made entrepreneurs they are, they are proud to say this is there first venture with Vacation Rentals and they pics a great one indeed! Good Luck Boys! It's gonna be a great ride! This property was purchased because of location, location, location! If you know anything about this area, you know that river life is very important and the Prop Stop is a big part of that! This boathouse is located just across the river from the infamous Prop Stop Inn! The boathouse has a large porch all the way around it with a grill in the back. With a porch swing, comfortable chairs and great water views you will be sure to fall in love. It is ran by generator so you do have electricity. There are 2 beds and a sleeper sofa in this cozy little space. You are literally 5 minutes from Lake Maurepas! This Camp is only accessible by boat. It is 8 miles up river from the Springfield Bridge at Tin Lizzys.